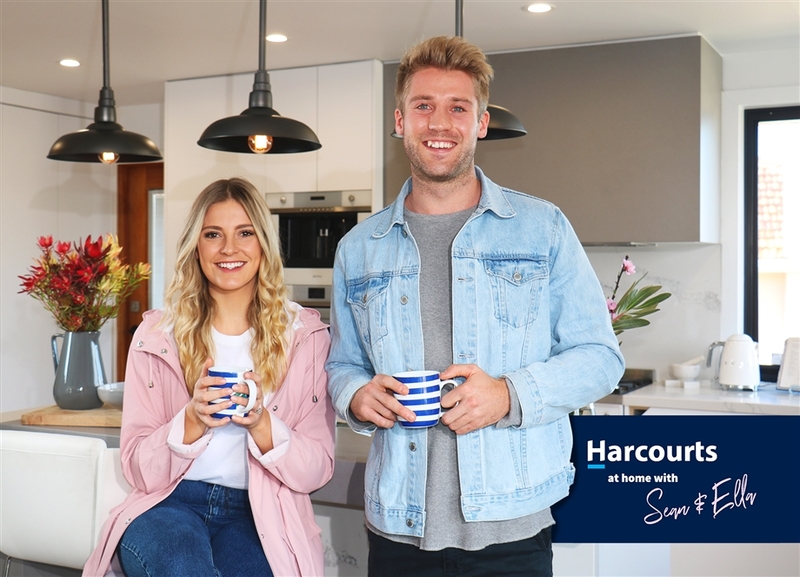 We are excited to launch a unique collaboration between ourselves and Harcourts. This partnership has been developed to give you a unique point of difference in the real estate market to potentially maximise your sale price, through allowing us ‘Sean & Ella’ to assist you with the styling and presentation of your home. We are offering you the opportunity to utilise our public profile, skills & knowledge gained throughout our recent experience on the Home Renovation TV show 'House Rules' as a unique way to potentially add some touches to your home prior to you listing and selling. Whether it is giving advice on preparation or styling for sellers prior to going to market, making guest appearances at open homes or events, offering our services to successful purchasers, working with your builders to come up with unique design ideas or offering advice on the latest design & styling trends and where to shop. We feel the opportunities are endless for a successful collaboration with Harcourts and it is our hope that in result of our services you will see properties selling in shorter time frames and clients achieving higher selling prices. We look forward to working with you. We are an engaged couple with a love for home design & renovation. With a background as Paramedics we are the first to tell you that we are not experts, but through our experience as finalists on the 2017 series of ‘House Rules’ on Channel 7 we have gathered extensive amateur design and home renovation experience. We have transformed 5 homes within the space of 6 months from bathrooms, kitchens, lounges and dining’s, to entries and hallways, bedrooms, walk-in-robes, and ensuites, we have experienced it all from start to finish. We have found a love and passion for home design and renovation, and now hope to make a career out of doing what we love. With experience in all phases of renovation from the initial planning, demolition, sourcing materials and products, to putting together the final product, we have seen it all. We can be involved from the initial planning of renovation, through to the final styling. Let us find a solution to your home. Preparing your home for sale can be daunting, let us help you increase appeal to the eye of the buyer. No matter what your budget we can help you increase the value of your home. Planning to renovate, we can help you with your existing floor plan to make the most of your space. From providing ideas & inspiration for quick & easy fixes, to more structural changes, we can assist in turning your vision into a home. Looking to discover your interior design style? Let us help you determine your style and how to best implement this in your home. From creating mood boards to utilising your existing ideas and inspiration we can help you discover your style, and craft spaces within your home to suit.